This was a project that we received through Custom Made. 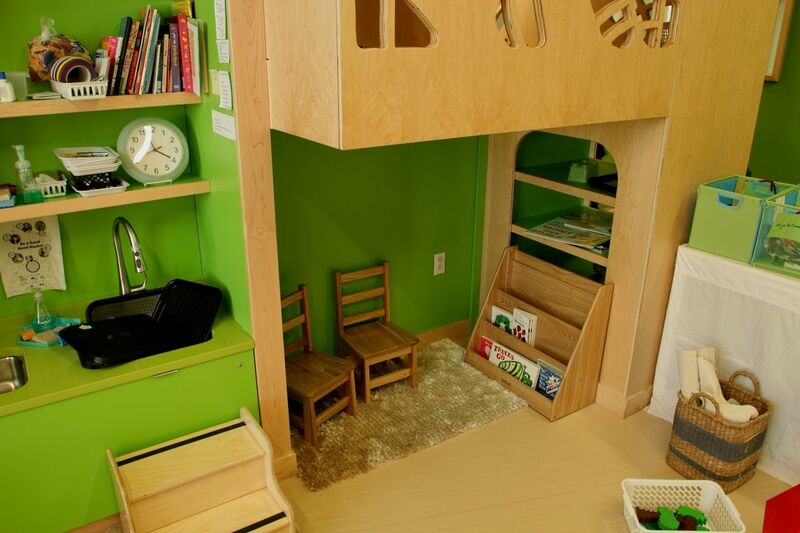 The owner needed some very special, on of a kind, custom children's multi purpose cabinetry. 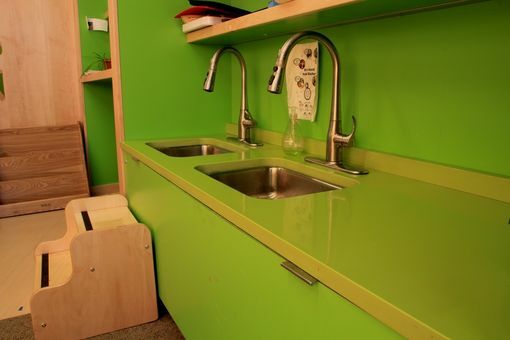 The project includes Maple veneer plywood, Italian plastic laminate and Silestone solid surface counter tops. 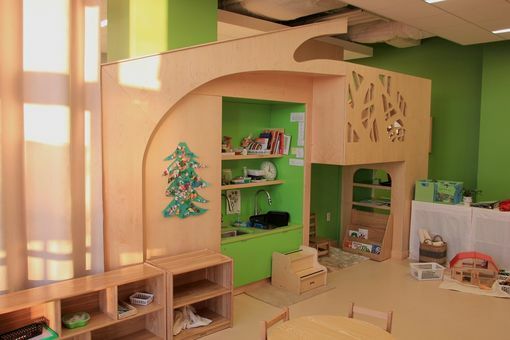 The cut outs one sees in the plywood are of a leaf motif, each one being cut out by hand. 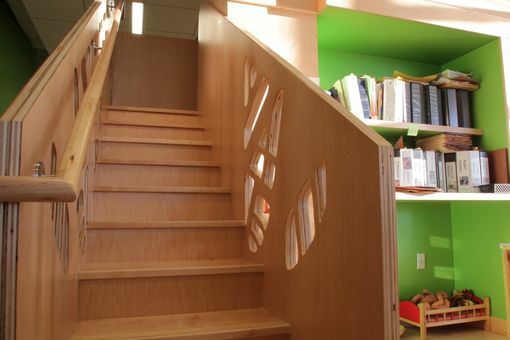 There is a solid Maple stair way that leads up to a cantilevered, Maple floored loft area where kids can read. 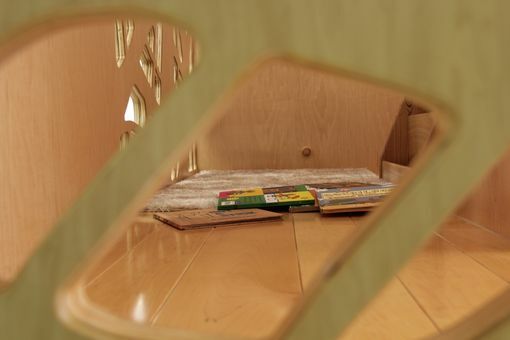 Besides all kinds of storage the unit is capped off with a Maple plywood roof, high lighted by a clam shell cut out. By R J Hoppe Inc.